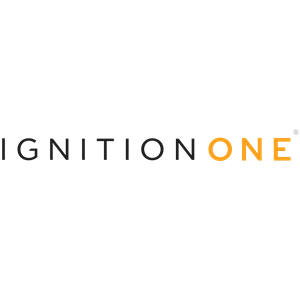 IgnitionOne’s leading Customer Intelligence Platform empowers marketers to find and engage their most valuable customers across channels using a data-driven approach. By focusing on cross-channel scoring and robust personalization, IgnitionOne’s technology provides real-time, actionable insights for smarter marketing decisions and omnichannel engagement to maximize overall results. Once a given creative is uploaded into the IgnitionOne Customer Intelligence Platform (CIP), marketers can predict how that creative will perform amongst target customers, before it is even deployed. Centralized data and analytics tools provide a clear view of customers. Management tools allow you to buy, manage and optimize marketing across paid search, programmatic display, Facebook and email. Fully integrated cross-channel attribution lets you understand the full conversion path. Flexible dashboards allow you to tailor the views across your marketing landscape, with actionable analytics embedded so you can easily monitor marketing performance. Integration also lets you quickly make adjustments to optimize results within a few clicks. Built upon a world-class marketing hub, the flexible system allows marketers to integrate with their existing tools or use the powerful native solutions already baked in the system.